Steven J. Thompson on how to develop risk profiles that better support strategies for overseas growth. As a senior executive with responsibility for international growth at two of the U.S.’ leading academic medical centers, I’ve evaluated several hundred significant cross-border healthcare partnerships over two decades. Every single time I evaluated a new opportunity, I eventually had to come up with an answer to two critical questions: Are the potential benefits of this deal worth the risks? And are the potential risks manageable? I know what you’re thinking: Every deal comes down to those questions. That’s true, of course. But you wouldn’t know it to look at the way many U.S. healthcare organizations go about entering international partnerships. They do it through what I call the “I know a guy” model. That’s when someone in the organization comes into the CEO’s office to tell her about this really impressive fellow who’s with a well-regarded healthcare player in Brazil or China or the UAE — a fellow whom he either met at a conference, just got an email from, collaborated on a research project with, or was introduced to by someone his sister-in-law’s investment firm works with. And this fellow is eager to form a partnership with us, and can line up investment, and knows how to set up these sorts of deals, and clear it with all relevant government agencies. What could possibly go wrong? These kinds of serendipitous overtures are not always a bad thing, and can indeed occasionally serve to kick off what may result in a new global opportunity. But organizations often blindly stumble into significant commitments based on trusting “that guy.” And yet those same organizations have strong, rational, well-defined search and due-diligence processes when it comes to the relationships they enter in the U.S. They would no more get involved in a domestic deal based on running into and trusting “a guy” than they would take bags of money into a casino in the hopes of expanding revenues. Let’s start with an obvious observation: You can’t weigh risks and benefits if you don’t understand the risks. I’m not claiming to be smarter than my trust-a-guy counterparts. It took me quite a while to understand the full range of risk elements involved in global ventures. But eventually, I not only figured out how to understand them, I learned how to embrace them. If you think you’re getting into an international deal without risk, then either you’re not seeing the risks, or the deal doesn’t offer much benefit, either. The goal isn’t to avoid risk or even to try to eliminate it. To do that, you’d simply stay away from growth outside of your country and comfort zone. And that would mean losing out on opportunities to innovate and take smart gambles. The way to do well in international deals is to find the opportunities that do carry real risk — but the risks have been identified and analyzed to ensure they’re acceptable types and levels of risk. That means you have to develop an appropriate and complete risk profile, and make sure you know how to manage them. I treat this as a four-step process. 1. Understand the types of risk you might face. As any business development process moves from identifying leads to early stage communications to discussions of a possible deal, it’s important to conduct a comprehensive due diligence. In domestic partnerships, that typically only requires assessing a small number of key risks, including liability issues, potential conflicts of interest, and new reporting requirements, among a few other things. Reputation risk – In some countries, protection of brandmarks and intellectual property is lax. Implementation risk – Infrastructure around transportation, financing and skilled personnel in your particular business are often challenges in other countries, especially emerging markets. Competition risk – Moving into a new territory often means having to scope out new and future competitors, and positioning yourself accordingly. Litigation risk – You’ll need to negotiate which country’s legal system will be the governing law for your agreement. It could be the country you’re going into or your own country, and it could even be a third party country. For example, harkening back to the colonial era, U.K. law is the governing law in some countries, because it’s seen as a respected, well-understood legal system. Currency risk – Moving into international finance usually involves foreign exchange risk, when the value of your investments or revenues or debts fluctuate with changes in a currency's exchange rate. How stable or volatile is the exchange rate of the country you’re considering going into? Corruption risk – Third party tools such as the Corruption Perceptions Index rank a country’s corruption risk. The Organisation for Economic Co-operation and Development (OECD) published a foreign bribery report in 2014 that’s still useful. The Basel AML Index ranks countries by money laundering and terrorist financing. Economic risk – You need to consider what the general economic indicators are for the country you’ll be doing business in. These include big development projects and the macro general economic health of the country, which can be more volatile and unpredictable than in the U.S. The OECD produces useful data about economic risk and indicators. Geopolitical risk – Are there stable political structures in the country? What about in the region overall? Regulatory risk – You’ll want clear sight into whether regulation is well-defined, stable and predictably enforced in the country. 2. Gather the needed expertise. Presented with what might feel like a solid deal that brings your organization into the exciting new territory of international healthcare, it can be all too tempting to skip the hard work of an in-depth risk assessment. After all, your trusted partner overseas has assured you that it has all the bases covered. Don’t even think about giving in to that temptation. Tick off every box in the risk profile checklist. If you can’t get good information on any component of the profile, then keep digging or walk away. Don’t mistake the breadth of the bundle of risks for the depth of the individual risks. 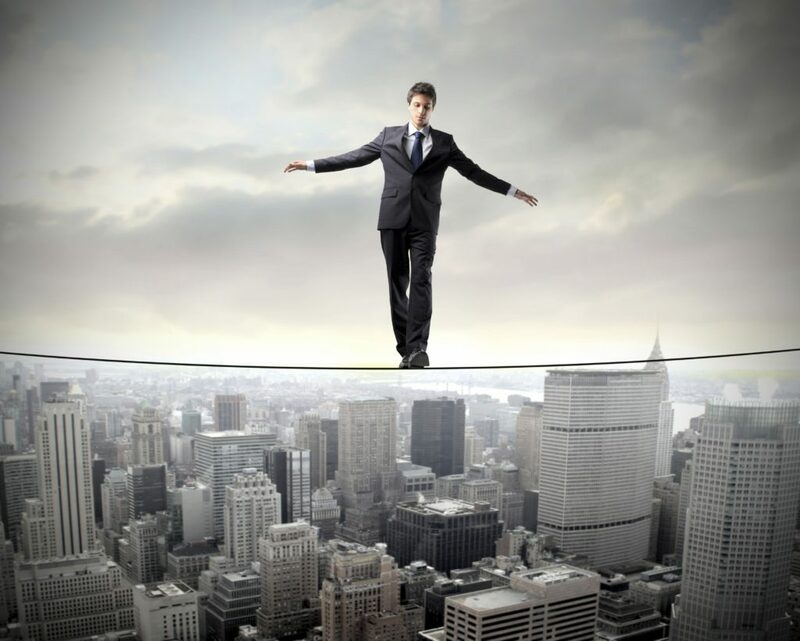 In domestic business, if there are only a few risks, we usually feel confident we can manage them. But in international business, even one deep risk can be fatal to long-term success. (Think about the impact of a military coup.) Conversely, just because you identify far more individual risks than you ever would in a domestic deal doesn’t mean you have a big problem if the risks are by and large minor or manageable. And don’t confuse uncertainty with risk. You may be utterly unable to predict the winner of the country’s next major election, but if all the political parties in contention are likely to be reasonable with regard to healthcare, business and foreign partnerships, then you don’t face risk from the election. On the other hand, knowing with near certainty that the country is about to elect a leader who speaks harshly of foreign involvement in domestic institutions still leaves you with serious risk. What makes a risk minor or major? One way to answer that question is to use the Likert scale. That involves ranking the probability of each risk going south on you on a scale of 1 to 7, and then the negative impact that it would have if it did go south on you on a scale of 1 to 7. You then multiply the two numbers. The higher a risk ranks on this probability/impact scale, the more attention you need to pay to it. 4. Don’t sign until you’ve nailed down a risk mitigation strategy. As you’re identifying the risks, think about what it would take to mitigate each of them. For example, if corruption is a risk, mitigation might involve researching the backgrounds of key individuals at the partner organization, and examining criminal and civil records. Any risk can be mitigated by contractually obligating the partner to assume it or at least share it with you. There’s always insurance, of course, though that could cut into the deal’s profitability. And whatever the risk mitigation strategy, you can amplify its effectiveness by setting up monitoring and early-warning processes, so that if the worst happens you’ve already gotten a head start on your mitigation work. The risk profile ought to be one component of broader market and country profiles that you put together for all your potential deals. The elements of these profiles can be as simple as discovering market rates for particular healthcare services, or as complex as understanding a country’s evolving and regionally varying demographics and market preferences. This additional information will give you a stronger framework for digging deeper into risk questions. Risk can be hard to embrace, particularly if you’re used to operating in familiar territory where significant risk is easily avoided. You’ll never find a deal in a fast-growing market that’s devoid of risk. But if you learn to understand and manage that risk, you’ll have access to highly promising ventures that scare others off.